Charity 2 Of 3 selected by Brickyard Members to support in 2019. 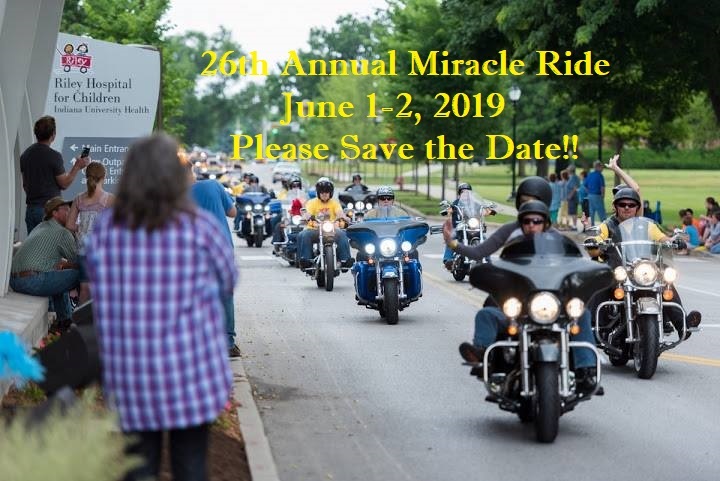 Welcome to the 26th Annual Miracle Ride June 1-2, 2019! 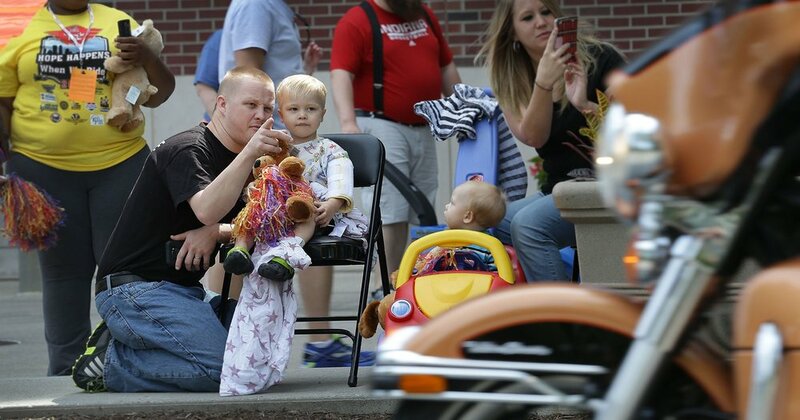 You're about to become part of one of the largest motorcycle charity events in the U.S. 100% of donations go to Riley Hospital for Children. Consider maximizing that effort by setting up a fundraising page or team. It’s quick, easy and you’ll be surprised how many people have a Riley connection and are happy to support your efforts. Share it with friends, family, other riders and co-workers. Help us set a new record of giving for the kids of Riley in 2019! Our passion is to help Riley Hospital for Children heal thier sick kids. I cannot think of a worthier cause. Hope Happens When We Ride! Regional Poker Runs on Saturday, June 1, 2019. 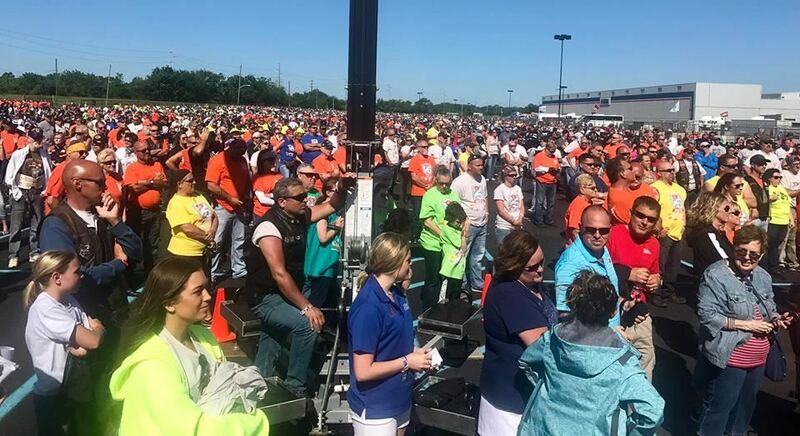 "The Big Ride" past Riley Hospital for Children and around the world-famous Indy 500 Speedway race track is on Sunday, June 2, 2019 and starts at Allison Transmission south lot. One donation allows participation BOTH days. Commemorative 2019 Miracle Ride t-shirt to the first 3,000 pre-registered participants. In 2018 Team Spyder had 24 members of which 14 were Brickyard members. We raised $1,400. We ended up joining with another team for a total of $2,050. 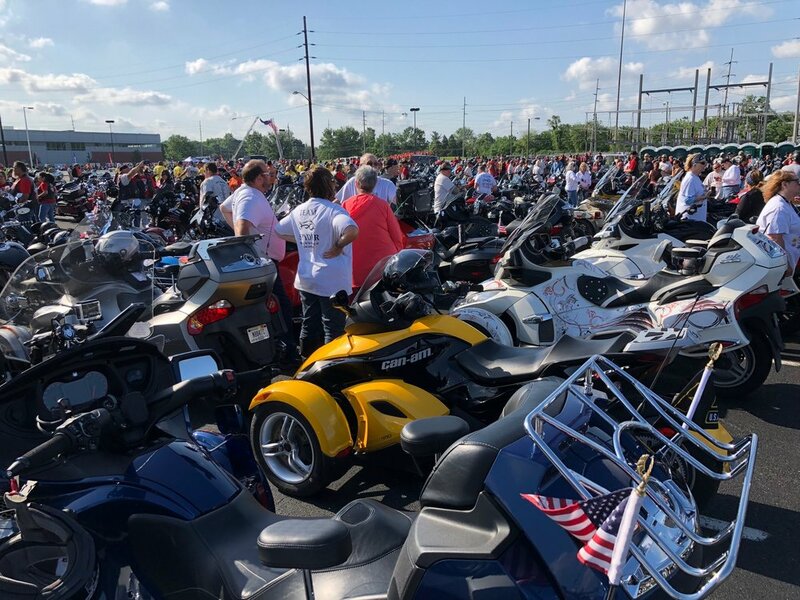 JOIN TEAM SPYDER to raise money for MIRACLE RIDE FOUNDATION, INC.
Paul Watterson, as the Captain of "Team Spyder”, is assembling a team to ride in the “Miracle Ride”. Paul would like to field a team of at least 40 people. Register to join “Team Spyder” at https://www.firstgiving.com/team/383423. Registration is $50 to ride. Last year we met at Dreyer Honda Can-Am for group photo and rode together to the event so that we were all grouped together. SAT - 10:00 AM - Pickup the team t-shirt with your wrist band at 8 Second Saloon (111 N Lynhurst Drive, Indianapolis, IN 46224) on Saturday after 10:00 AM or at end of poker run. Can pickup both on Sunday but will be crowded. SUN - 8:30 AM - Meeting at Dreyer Honda Can-Am (4152 W Washington Street, Indianapolis, IN 46241). SUN - 9:00 AM - Feet Up. Head to Allison parking lot. SUN - 9:30 AM - Indianapolis Police Motorcycle Drill Team. If any questions, you can e-mail Paul Watterson at undfan@comcast.net.